We're trying out a new format for this month's newsletter. A Syracuse, NY high school principal indicted for child endangerment and felony perjury for ordering a 9 year-old child into a timeout room and then trying to cover it up. And the Syracuse Post-Standard editorial: "It's Time to Phase Out 'Time Out' Rooms in Our Schools." ​New York Mayor Bill de Blasio says city schools will change their policies on restraining students after a Bronx mother found her 5 year-old son being restrained in Velcro handcuffs in school. ​Hartford Courant Op-ed: "State Must End Use Of Restraints On Juveniles"
​Alaska for the first time sets standards for the use of restraints and seclusion rooms in schools. Seventy co-sponsors have signed on in the U.S. House and Senate. Call your federal representative and senators or email them today and tell them how you feel about passing the act and "keeping students safe." 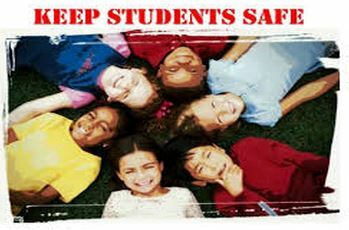 Join the Keep Students Safe Facebook page. We can keep students safe and end the use of restraints and seclusion rooms in schools. But not without your help! Your support is urgently needed. Please support this critical effort with a contribution to this non-profit outreach campaign now! "We see a world where children are nurtured and kept safe at school, where laws are followed, and where parents are free to speak out to help their kids without fear of consequences."